A seasonal favorite, buttery balls of dough are rolled in toasted nuts and filled with jam or preserves. These little gems get their name from the fact you use your "thumb" to make an indentation into each ball of dough for the jam. 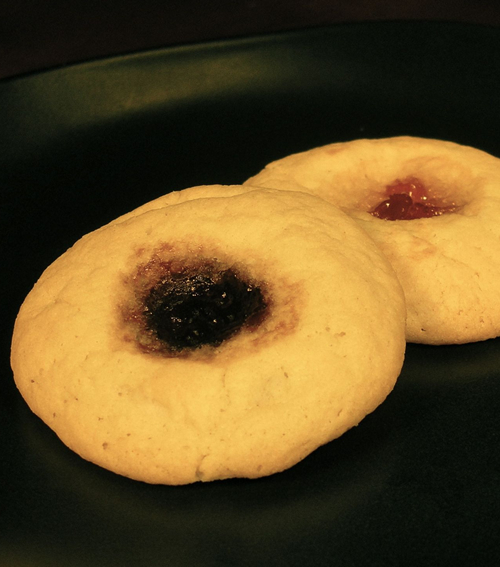 These are topped with a dab of Raspberry Jam or Apricot Preserves!